Aqua (water), Buxus chinensis (jojoba) oil*, Lavandula angustifolia (lavender) distillate*, Macadamia ternifolia (macadamia nut) oil*, Persea gratissima (avocado) oil*, cetearyl alcohol, glyceryl stearate, glycerin*, naticide (natural preservative), tocopherol (Vitamin E), Sclerotium gum (amigel), Calendula officinialis (calendula) flower oil*, Vitis Vinifera (Vinanza® Oxifend pinot noir grape) extract. * Certified organic ingredient. 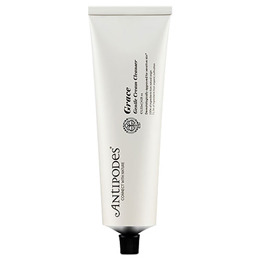 Below are reviews of Antipodes Organic Grace Gentle Cream Cleanser - 120ml by bodykind customers. If you have tried this product we'd love to hear what you think so please leave a review. I love this product. It is gentle, effective and the smell is wonderful. A beautiful cleanser. Clear impurities and remove your makeup gracefully. 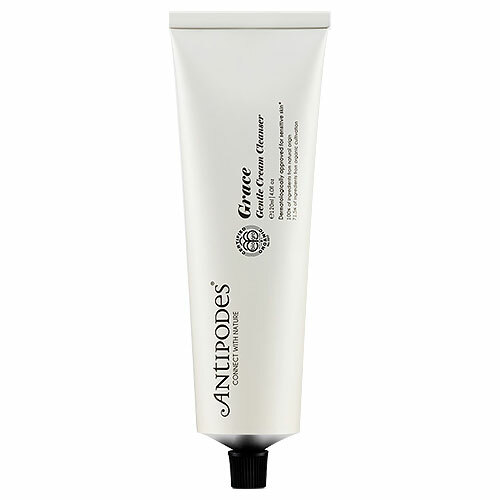 This blissfully soothing formulation features anti-inflammatory Vinanza Oxifend.